If there's one trend we haven't been able to escape this London Fashion Week, it's the checked blazer. While this item has been popular for quite some months, it seems to have exploded when it comes to LFW street style. And we can see why. With most of the Who What Wear office owning a variation of the piece, the jacket is super versatile, and it works with nearly every outfit in your wardrobe (from all-black ensembles to bold prints). Even better news: You can pretty much shop for it everywhere. There are the £50 versions in Zara, as well as the more high-end jackets from the likes of Alexander Wang. 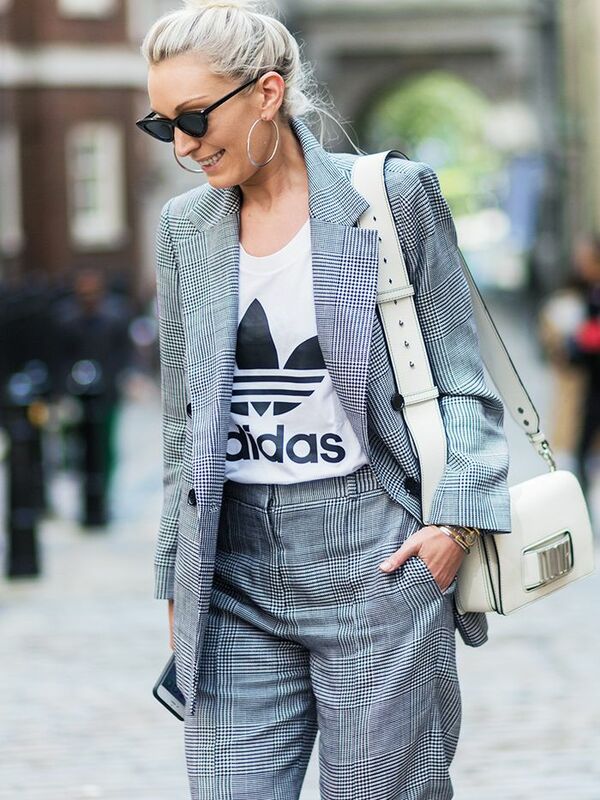 Keep scrolling to see how everyone is styling their checked blazer at London Fashion Week, and shop our picks. Style Notes: Wear your jacket with the matching trousers, but throw on a sportswear tee to keep it casual. Style Notes: See what we mean about it working with a floral dress? Style Notes: Take a tip from Lucy Williams' wardrobe, and go the classic route with a white tee and a pair of black jeans. Style Notes: Try it with a black blouse underneath for a super-sophisticated style. We can see this Zara special selling out. Mango also does a great version. Try Topshop for a double-breasted take on the blazer. For a super-luxe approach, go for this Alexander Wang piece.